Example: When taking an image with your phone or compact camera, the date, time, device model is stored. All this information is stored within the file itself, meaning that when you move the file (for example by sending it to someone else or by uploading it to Elvis), the metadata is moved with it. When working with files on a computer, you will come across metadata everywhere: from simply viewing a file in a folder to right-clicking a file and bringing up the Properties dialog box on Windows or the Get Info dialog box on Mac OS X. 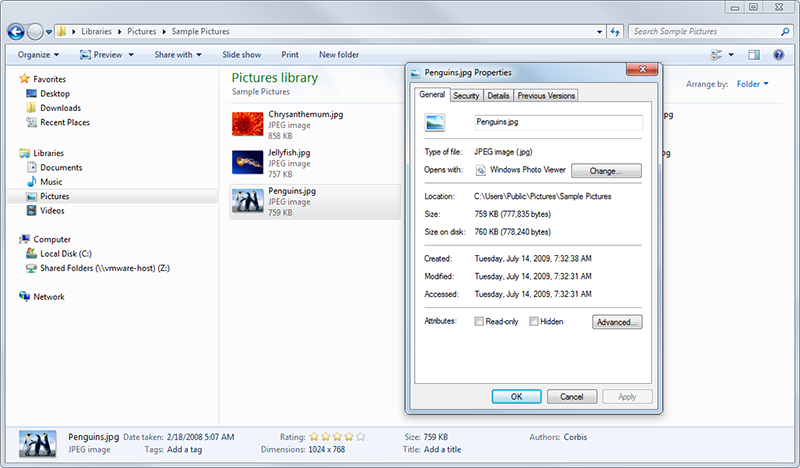 Figure: Metadata of a file is shown in many different places such as in folders and in the Properties window. Apart from metadata that is automatically added (for example the Modified Date when saving a file), it is also possible to add additional metadata yourself. Example: When selling an image, it makes sense to store your contact details and information about when and where the image was taken in the metadata. This can be done in most applications in which you can edit the file such as in Word or Photoshop. 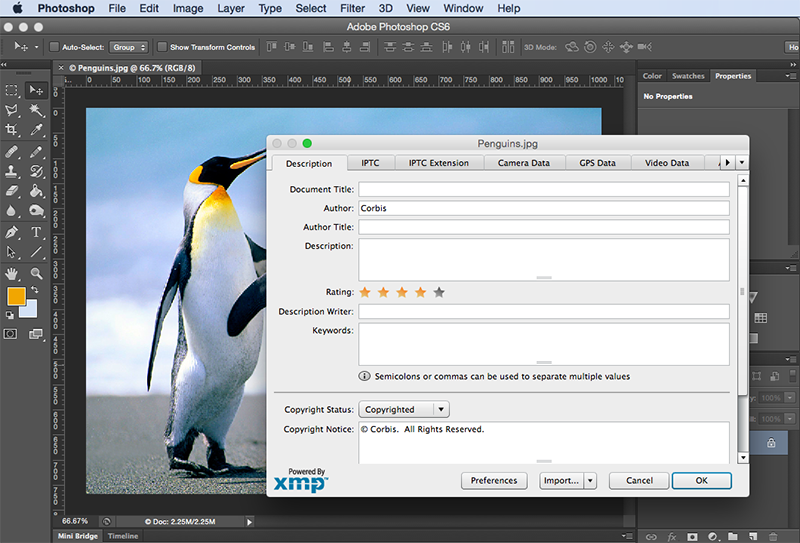 Figure: Adding additional metadata in Photoshop. Working with assets in Elvis primarily revolves around searching for assets. When performing a search in Elvis, you are essentially searching in the metadata. The more metadata is available for the asset, the more ways users have to find it. When assets are added to Elvis, their metadata is extracted and added to the search index. This makes sure that the assets are characterized and cataloged correctly so that they can be easily found. Figure: After importing an asset in Elvis, all its metadata is also imported. 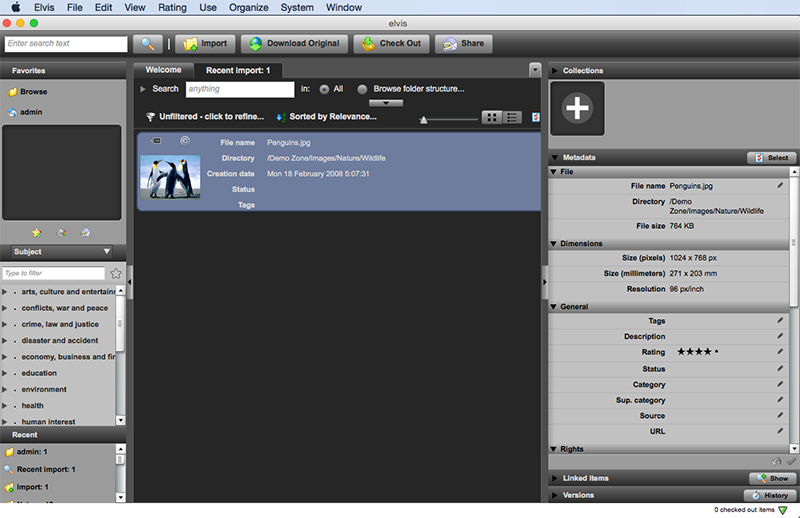 Of course, editing metadata is also possible in Elvis and can be done by using the Desktop client or the Pro client. Metadata that has been added to assets in Elvis is — where possible — embedded in the assets together with the original metadata. When exporting an asset from Elvis (for example by downloading the original file) this metadata is also available in the downloaded asset. Note: Some metadata fields that contain confidential information may not be exported. See also Working with embedded metadata in Elvis 5. Should any of the high number of metadata fields that are available in Elvis not be sufficient, it is possible to create custom metadata fields.